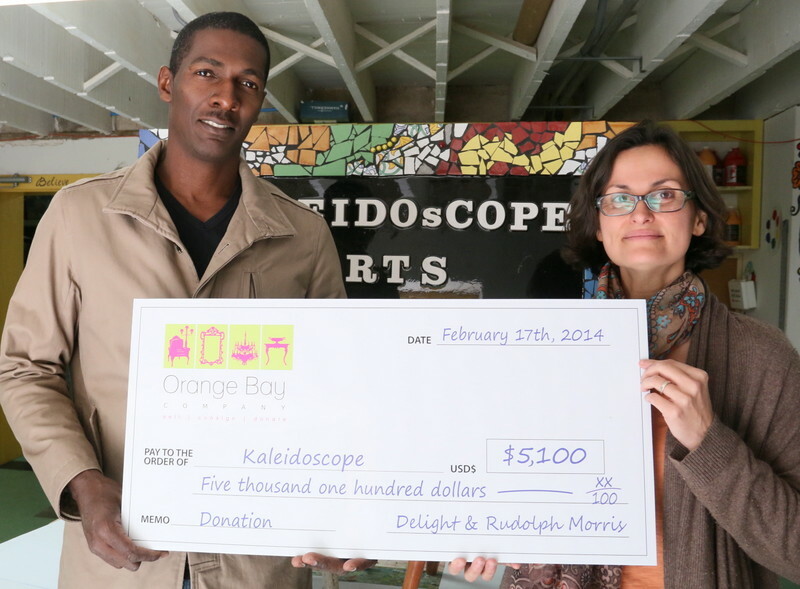 Orange Bay Company recently presented a $5,100 check to the Kaleidoscope Arts Foundation in support of the foundation’s Art & Me Programme. Since opening in 2009, Orange Bay Company has organised an annual charity fundraiser each year and to date, its efforts have resulted in more than $70,000 in donations to local charities over the years. Recipient charities have included The Bermuda National Trust, The Sunshine League, SPCA, The Salvation Army, The Reading Clinic and Teen Haven. Great Job and well done to a deserving group.